I didn't take Tocus seriously, seemed pretty clear to me he was joking. 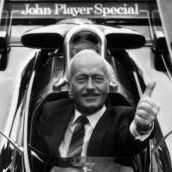 Funny thing about the Essex though, not many inside Lotus share our reverence for it. The association with Essex petroleum quickly became a bit of an embarrassment at the time. The original owner of my car wanted the Essex stripes without any Essex logos for that reason. 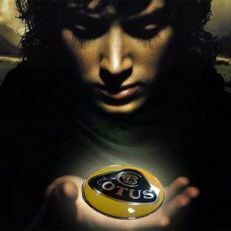 Some ex lotus people I've spoken to are surprised at how much more sought after they are now. I think it's a completely iconic look but doesn't work at all in any other colour for me. The white one is obviously an object of fascination but it I think it looks pants next to a blue one. Tocus, were you serious about painting it blue? Agree! The white one is not for me. An Essex in all the correct livery and white lettering on the tyres........................Well the most beautiful machine ever created. I love the chocolate interior. Very interesting if its a 1980 car and in 1980 they only made 57 Turbos which were Essex cars. I wonder what your car is? Its not an S2 or S2.2 and there are no other turbos listed for the year 1980...other than Essex cars. Very strange. They didn't make 100 Essex cars (57 in 1980 and 43 in 1981) as that publication suggests. It's worth remembering that pretty much all the cars are unique. I've just had a certificate of provenance from Lotus that says my black dry sump Esprit is the only one with full black leather and no air con. Not sure that this adds value but it's nice to know. Given the range of colours and options available together with small numbers produced it's not really surprising that no other identical one was made with a dry sump engine. Whilst it's of course a personal choice I think that it would be a pity to try and make a fake Essex out of the car which looks fantastic in its own right. 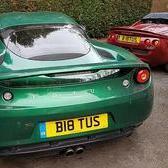 Just to clarify Tocus, do you run your Lotus cars activities as a business? i also have a 340r i just dont wanne sell it again, its a great car, just as the esprit! No mention of that in the UK sportscars advert! I am picking the car up tomorrow, so i can upload some more pictures tomorrow! its a long drive, but then i have it, a great essex specs car! Can't wait to see more pics Tocus - always thought this was a very special Turbo especially with the Tobacco interior!!! I WANT that interior!!! What a cool car!!! Sounds like you know exactly what you want anyway!! One thing I did notice is that the side Turbo Esprit decals are positioned slightly lower than normal -they would need removed to fit the stripes I reckon. Maybe the original order was placed to have no stripes? Andy Graham at Lotus would probably be able to confirm. You can really see the extra puffed up padding in the seats in those pics - I'm starting to think the very first Essex cars and the few like this one that were produced in 1980 had more padding in the seats. Is the car a keeper or are you going to sell it? but it looks really beautiful! the sticker is still on the wheel, when it left the factory! great thing! there are also 2 sets of keys, with the car and i have a essex manual very funny! i dont know if i sell it again, i start to love it more and more! so this one stays clean!